Waltons fence panels, fencing accessories and gates help you create attractive boundaries, privacy and security around your home. 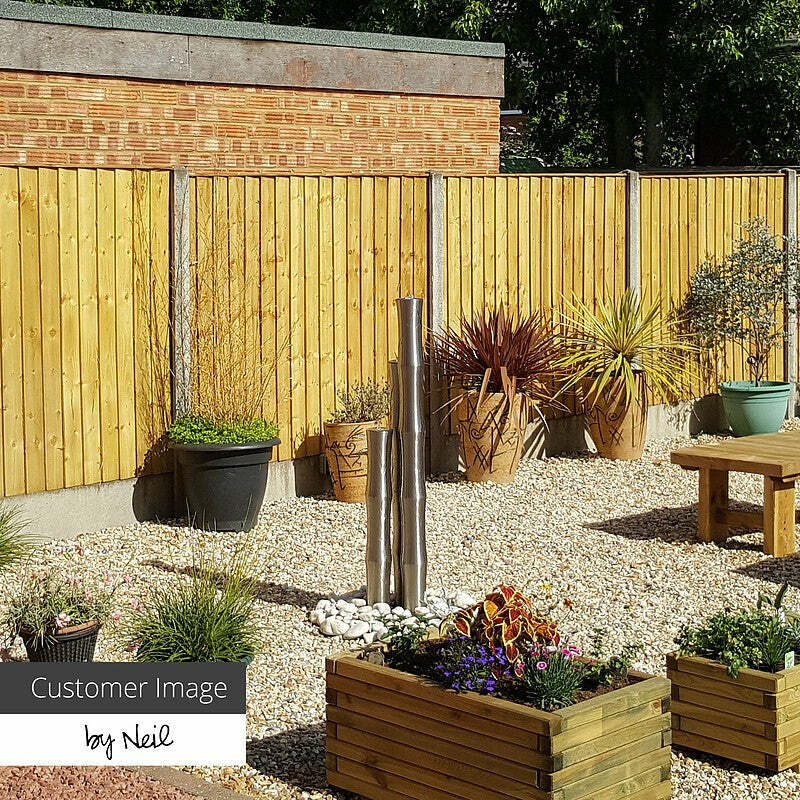 Our fencing panels are designed to stand up to the worst (and best) of British weather, so you can be certain your garden fences will last for years. Our range includes panel sizes from 3ft to 6ft, and an array of styles such as hit-and-miss, hazel hurdles and picket fence panels. Along with our choice of screening, gates, tools and accessories - you'll find everything you need at Waltons to create the perfect garden fence. We have the fencing to suit your garden, be that picket fencing or hit and miss panels. With a selection of size choices from 3ft to 6ft panels, pressure treated or dip treated, and a generous range of styles, you can be sure to find the right boundary marker for your garden at Waltons. If you're looking for plain traditional fencing or more decorative fence panels, we've got just the thing for you. Not sure of your options? Give our friendly sales team a call on 0800 029 1000 or drop us a line at websales@waltons.co.uk.